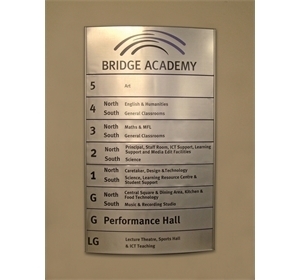 Designed to make Door and Direction signs easy. 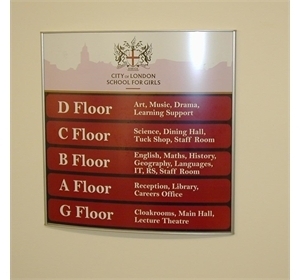 Built with a curved front face to be easy to read. 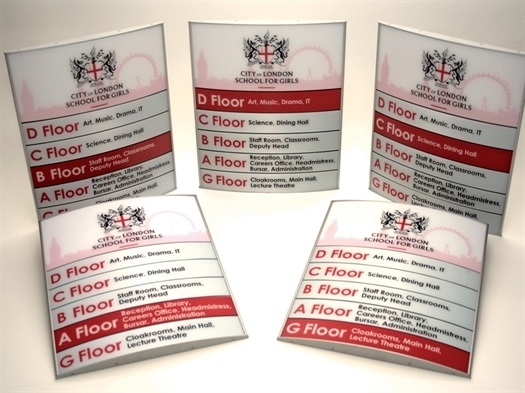 Made from extruded aluminium for safety & low maintenance. 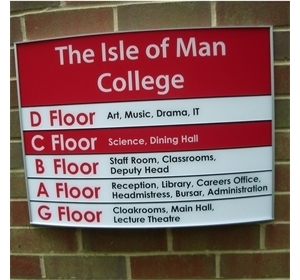 With changeable easy to read panels. 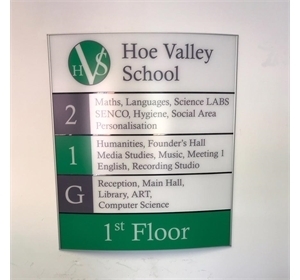 Available in a range of sizes and in the school colours. 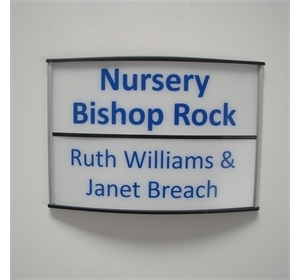 Can be easily changed when room uses or names change. Our Curved Insert Room, Directory and Corridor signs are designed to guide people around your buildings in the most safe and efficient way. 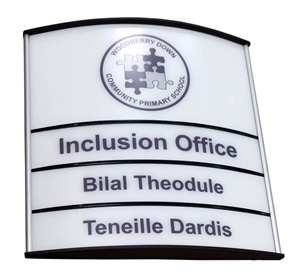 These signs are made from extruded aluminium so they are safe and maintenance free, and the graphic panels can be easily changed when a room or office use or a name changes. 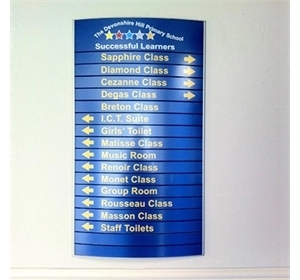 The panels are anti scratch and anti glare so that they can be easily read in corridors or confined spaces. 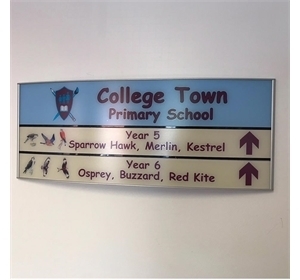 The inserts are available in the school colours with the name, logo or text onto the panel with individual room name or information inserts.